Cooking meat and other meals in SCUM is an essential mechanic. You can only get so far by opening cans of food in SCUM and eating that. SCUM offers a plethora of different recipes that you can cook, ranging from simple to complex. However, all of the cooking recipes in SCUM have the same basic principles, seen in the simplest example, the Small Skewer with Meat. With that in mind, let’s see how to cook meat & other meals in SCUM. 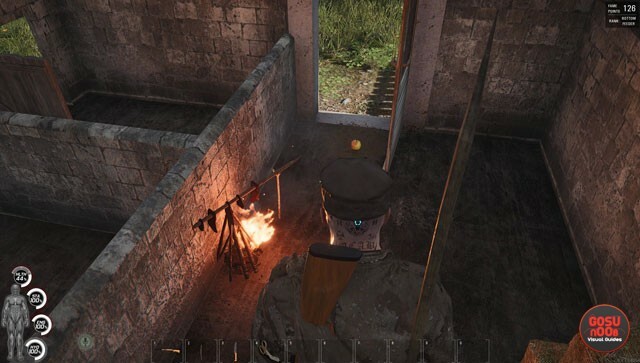 In order to cook meat in SCUM, all you need are three Pieces of Meat, and one Long Wooden Stick. This recipe, Small Skewer with Meat, is the simplest one that you can make, and requires the least amount of effort and resources. You can get a Long Wooden Stick by cutting bushes, and you can get the meat through many different methods. Although, let’s be honest, you’ll probably resort to cannibalism pretty much immediately. One important thing to note are the Bonus Components, marked in blue. These have been causing some confusion. For example, when you highlight the Small Skewer with Meat, the Bonus Components include Fat, Sea Salt, and Spices Mix. It’s important to know that you don’t need any of these items in order to make the food. If all you have is meat and a stick, go for it. However, if you do have any of them, then you really should add them. The game won’t select them automatically; instead, you’ll have to make sure to select them manually. You’ll know that you’ve selected them when they’re marked red. Once you have all the ingredients, your next order of business is to light a fire. 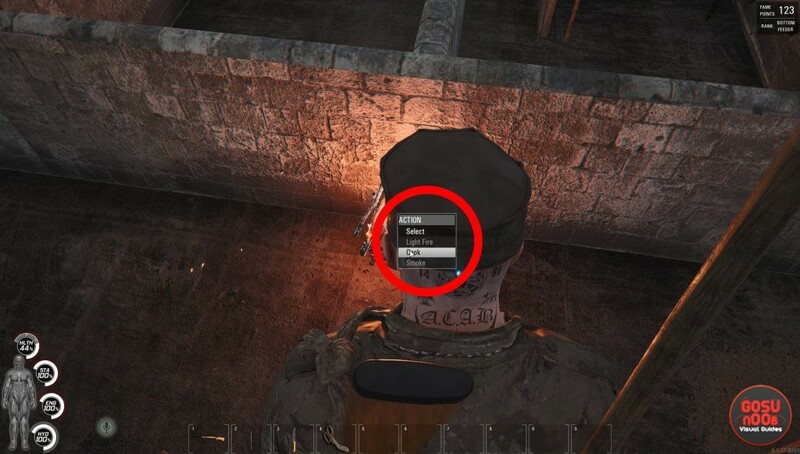 If you’re not sure how to do that, you can go to our How to Start a Fire in SCUM guide. When you get the fire going, combine the meat and Long Stick (and Bonus Components, if you have them). Then, right-click on the fire, and select Cook. The skewer doesn’t need to be in your inventory or your hands; it’s enough for it to be in the vicinity. Bon appétit! How to Make Other Meals in SCUM? Cooking all other meals in SCUM follows the same basic principle. The only thing that’s different is the ingredients, such as vegetables, or perhaps you’ll need some extra tools, such as a pot or a better knife. But, overall, there’s no core difference. If you know how to cook the more basic things, such as the Small Skewer with Meat described above, you likely won’t have any trouble figuring out the more complex recipes. Also, always keep in mind the bonus components. Check if you have one or more that you can add to a particular recipe every time you cook. It will always be worth those extra couple of seconds. Don’t forget to always select them manually before you start cooking. And, that’s about it.